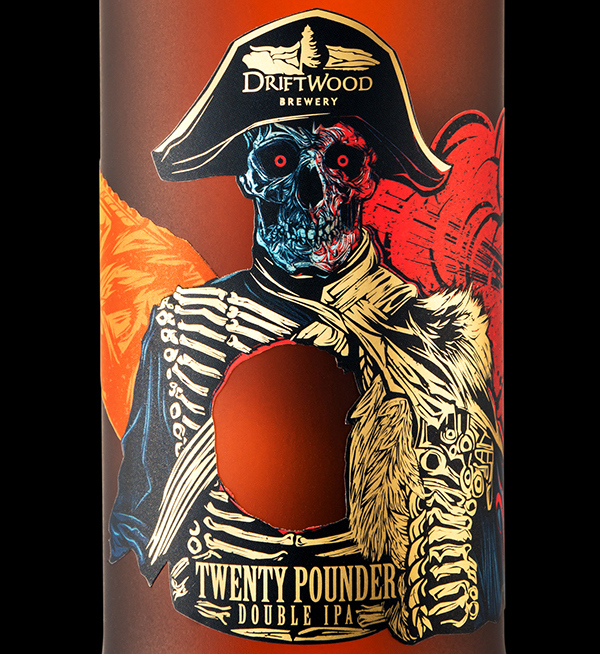 For the redesign of Driftwood Brewery’s Twenty Pounder Double IPA, rather than make its namesake 20-pounder cannon the central focus, we decided to announce its presence with a conspicuous absence: a die-cut hole, front and center, blown through our grinning General. 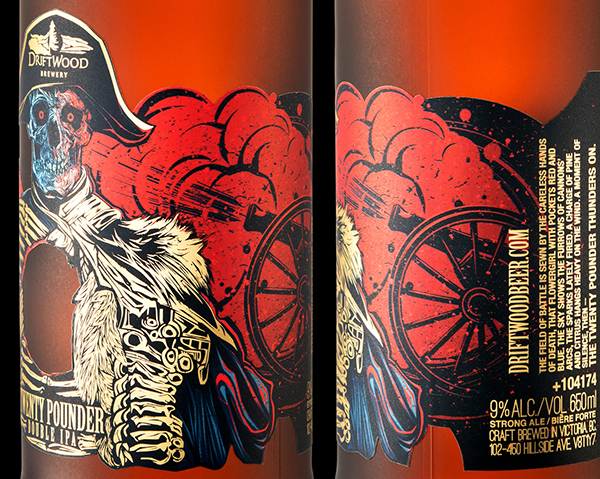 His decorations, we rendered in highly-detailed gold foil, showcasing his jacket’s horizontal braiding made from bone; his face, we designed with red highlights and blue shadows, traditional colours of war and artillery. 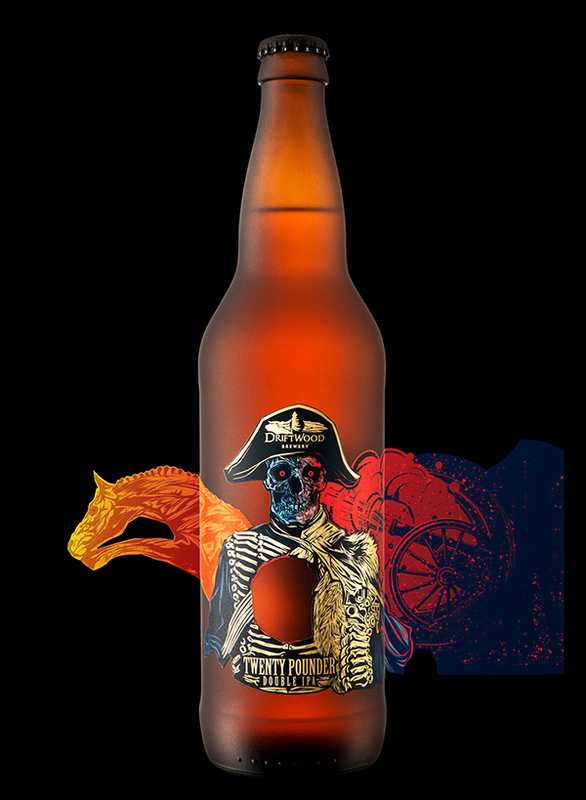 A strong parabolic movement is launched from right to left, with the leaping horse’s line of action described by the arc of the firing cannon. 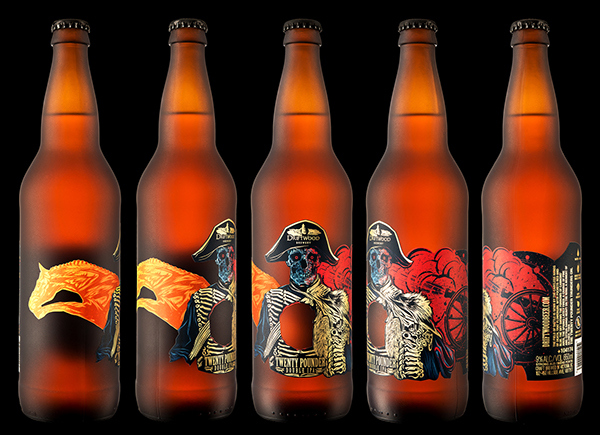 The field of battle is sewn by the careless hands of death, that flower girl with pockets red and blue. The sky shows the furrows of cannons’ arcs, the sparks lately fired. 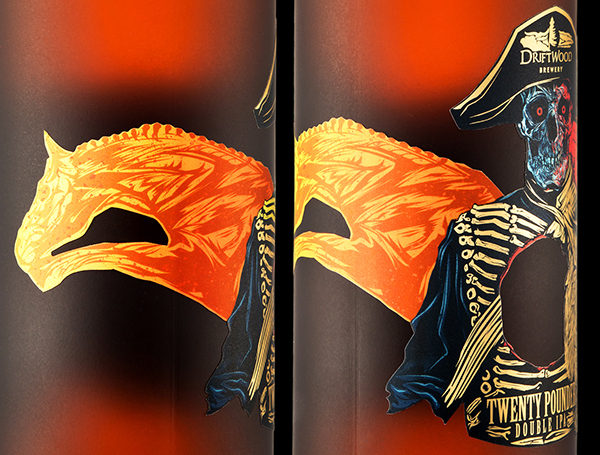 A charge of pine and citrus hangs heavy on the wind. 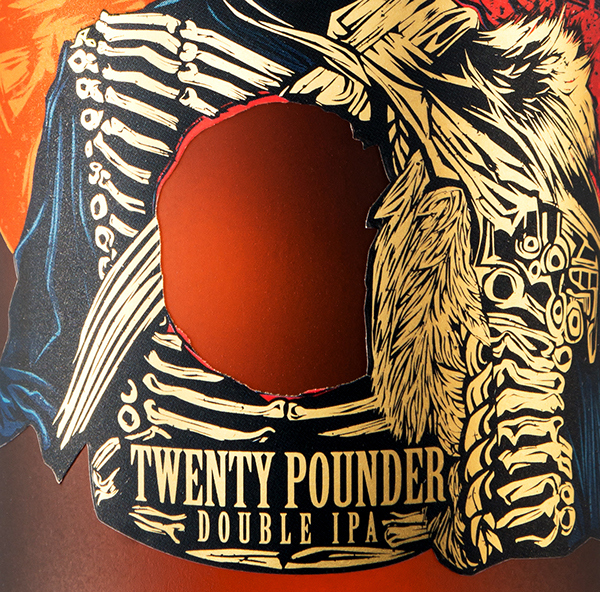 A moment of silence, then – the Twenty Pounder thunders on. 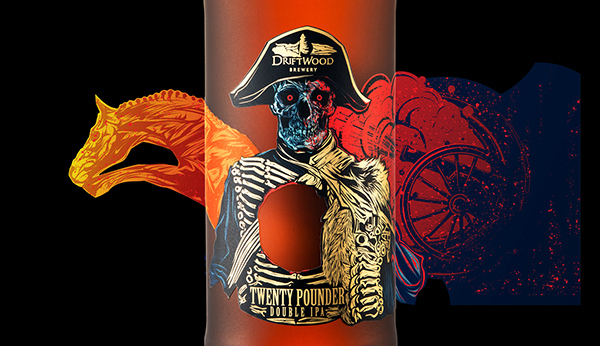 For the redesign of Driftwood’s Twenty Pounder Double IPA, rather than make its namesake 20-pounder cannon the central focus, we decided to announce its presence with a conspicuous absence: a die-cut hole, front and center, blown through our grinning General. 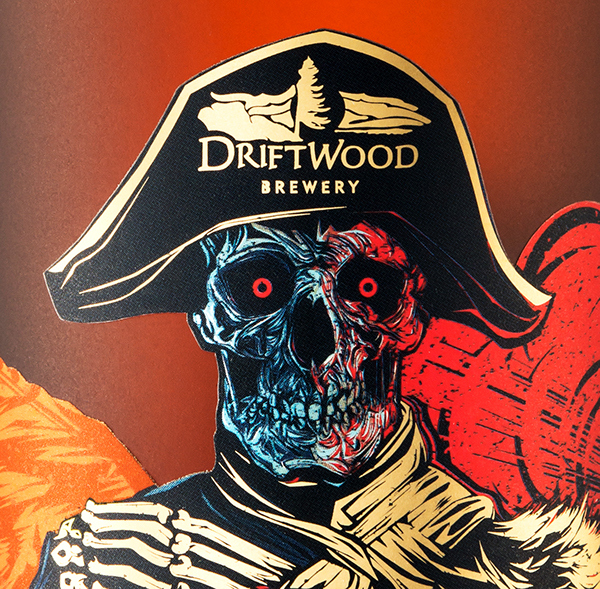 His decorations, we rendered in highly-detailed gold foil, showcasing his jacket’s horizontal braiding made from bone; his face, we designed with red highlights and blue shadows, traditional colours of war and artillery. 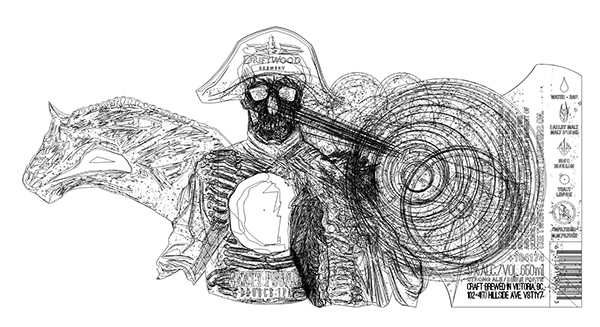 A strong parabolic movement is launched from right to left, with the leaping horse’s line of action described by the arc of the firing cannon.